Now that the rainy season is upon us, we can expect the unexpected: some days are bound to be hot and humid, while other days will be wet and clammy. In any case, the changing weather is bound to bring about bad hair days—and who hasn’t had one? There is no reason to fret when it comes to taming your hair this rainy season. Renowned Japanese hair care brand SYOSS gives the pampering you need to tame unruly locks. 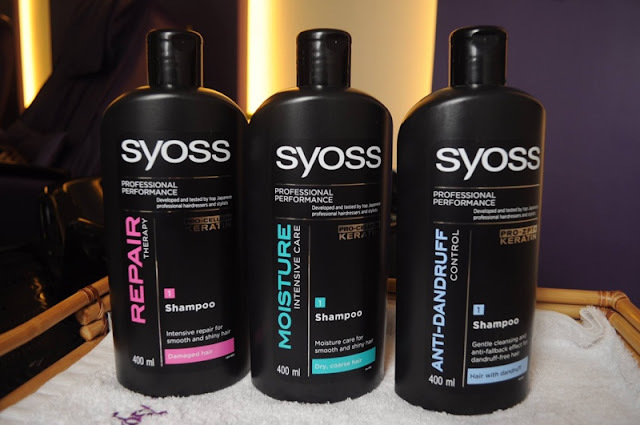 SYOSS Hair Care products have been specially co-developed and tested with Japanese hairdressers and stylists to provide women with professional hair care at a reasonable price. The SYOSS Hair Care series contains Pro-Cellium Keratin, a special formulation especially designed for Asian hair, which strengthens the fiber of damaged hair from within. No matter what the weather is, SYOSS got you covered! I've seen this Syoss brand before but don't mind checking it because I really don't have any idea about Syoss. But now I'm interested to gave this a try especially the repair therapy or moisture intensive care and hoping that it will works well on my hair. Looks like a nice brand, I ve heard a lot about it but never tested! P.S:I ve also wrote a post about Singapore, because really love the country! I really want to try this product but I don't have any idea what variant should I go to but after reading this now I know what variant of Syoss I should buy thanks Miss Rochelle.